“Saving lives was easy. Saving herself was another story”. Cassie Hanwell is a firefighter with the Austin Fire Department. She is a very busy and independent woman. Her co-workers think she’s lonely, but she tells them she’s happy with the way things are. What happens next is COMPLETELY unexpected. On top of everything else, Cassie’s mother has been trying to get in touch with her. Cassie and her mother are far from close so she’s stunned when her mother says “I need you to come to Massachusetts to live with me”. She has some health issues and needs Cassie’s help. She asks Cassie to think it over. Cassie says she doesn’t need any time to think…the answer is no. Unfortunately, before she knows it she’s moving to Boston. Cassie will be working at the Lillian Fire Department, where she’s needed but not wanted. The LFD has NEVER had a woman firefighter. Cassie is determined to prove she can do the job just as well as they can. She is advised to do anything she can to keep from reminding them that she’s a woman (no makeup, no long hair, no jewelry…etc) but she also shouldn’t back down, get offended, or show fear. Will Cassie be able to deal with the “good old boys” and their archaic ideas? Soon some surprising feelings have Cassie rethinking many parts of her life. Is it possible that she may even end up breaking the biggest rule of all? Cassie survived her past by never talking about it with ANYONE. She closed off many parts of herself so then she wouldn’t get hurt. But could she be missing out on something wonderful? Every now and then a story comes along that gets me right in the heart. “Things You Save in a Fire” is that kind of story. I’ve said it before but I really do love the way Katherine Center writes about the messy parts of life with such honesty. The storyline was well-written and there were many great relatable characters. From the laugh out loud moments to the heartbreaking moments, this story had me gripped until I finished the very last page. 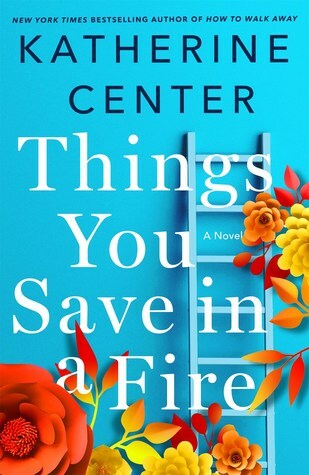 “Things You Save in a Fire” is a heart-warming, gut-wrenching, and hilarious story about healing, family, forgiveness, courage, and love. I’d like to thank St. Martin’s Press for providing me with an advanced copy of this novel. All views are my own. 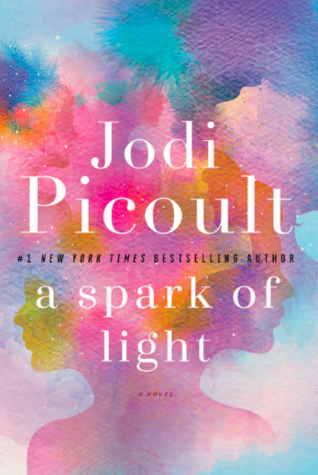 As soon as I see that a new Jodi Picoult book is going to be released, I can’t wait to read it. But as much as I wanted to drag out this novel and make it last, I couldn’t stop reading. I had to find out how it all began…and how it all came together in the end. This novel is written in a way I wasn’t sure I would like. But I actually really enjoyed how the story was told. The book begins at five pm and moves backward in time with each chapter one hour earlier than the previous chapter. “The Center” was formerly known as The Center for Women and Reproductive Health. Due to the restrictions designed to make these centers disappear, The Center is now the last clinic of its kind in Mississippi. Though it’s been through many battles the fluorescent orange building is still standing, offering services and support to those who come through its doors. It is a safe space…until the day a distraught and desperate man barges into the building, opens fire, and takes everyone inside hostage. We learn the stories and hear from a variety of people inside The Center. What brought these people together on this fateful day? Fifteen-year-old Wren doesn’t think today is a good day to die. Hugh McElroy is a hostage negotiator and has dealt with all types of hostage takers. Some are drunk or high, some are on a political mission, and some are depressed and determined to take others with them. But this hostage situation is very different. In fact, Hugh should have stepped down and let someone else take over. George Goddard knew he hadn’t been the best husband, but he was determined he would be the best father possible. “It was why, this morning, he had driven all this way to The Center, the last standing abortion clinic in the state of Mississippi”. Three hours away in another part of Mississippi is seventeen year old, Beth. She is terrified and alone and has just found out that she’s being accused of a horrible crime. Those are just a few of the characters we meet in this story. Just like in real life, we have people with many different views. I thought the characters were well-developed, their stories intriguing and heart-breaking. They are all very different yet have more in common than they would have ever thought possible. As I mentioned earlier, the way this story is told is a bit different. But in the end, I thought it was the perfect way to tell this story. I’m sure this novel will spark debates and there will be a variety of opinions. I understand it may not be for everyone. Regardless of opinion, I feel that many people will still find this book interesting and thought-provoking. I have been reading Jodi Picoult’s books for years. Her books bring important issues to the forefront, using ordinary people’s stories. In my opinion, “A Spark of Light” is another incredible and unique novel. This story will stay with me for a very long time. I’d like to thank Ballantine Books for providing me with an advanced copy of this novel. I am a huge fan of this author. 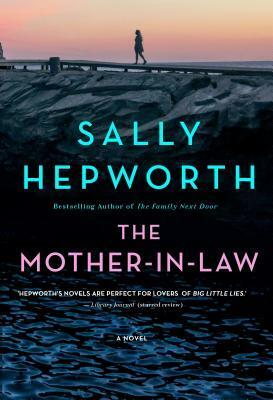 “The Mother’s Promise” was my first Sally Hepworth novel and is one of my favorite books. I couldn’t wait to start reading! The story then jumps back ten years to Lucy’s first visit to the Goodwin home. Ollie’s father is friendly and seems happy to meet Lucy as does Ollie’s sister, Nettie. But Ollie’s mother’s greeting is lukewarm. She’s not rude to Lucy, she is very polite…she just seems sort of cold and standoffish. When Diana meets Lucy, her first thoughts are that Lucy was probably adored by everyone in her life and things probably came very easily to her. “Take the pregnant refugee girls I deal with every day. They’ve been through unimaginable hardships, and here they are working hard, contributing and grateful”. Lucy just wants Diana to like her. However, it seems the harder she tries the more strained their relationship becomes. But things aren’t always what they seem. 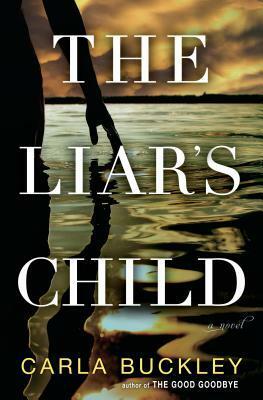 As they learn more about Diana’s death and more things are brought to light, Lucy finds herself questioning everything…some things just aren’t adding up. Did anyone really know Diana? I thought this was an excellent story filled with engaging characters and an entertaining plot. We are given insight into the complicated relationships within the family. I liked how it alternated between Diana and Lucy’s point of view in both the past and present. It was interesting seeing how they each read or misread the same situations. As I mentioned in a previous review of “A Mother’s Promise”, Sally Hepworth does a wonderful job of bringing her characters and their individual stories to life. She creates characters that readers can relate to and empathize with. This was definitely a thought-provoking read. I’ve read other novels that deal with the relationships between men and women and their in-laws, but I found this to be quite a unique story. I was really surprised by a few things and extremely satisfied with how everything came together in the end. In my opinion, this was another winning story from Sally Hepworth. I’d like to thank St. Martin’s Press for providing me with an advanced copy of this novel.